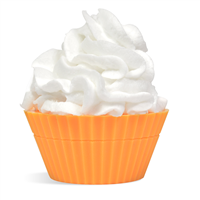 Soap Frosting is whipped soap with a fluffy and soft texture similar to frosting. Use it to decorate soap cupcakes, soap cake slices, and soap pie slices. Our best soap frosting that can be used to decorate soap cupcakes, bath fizzies, soap cake slices and soap pie slices. You Save $11.40 buying these items as a kit.